Vehicles are an important part of our modern day busy routines. Administrative authorities are designing driver friendly cities and towns as walking to places are becoming a rare sight. With that being said, driving with a clear view of the road is crucial as a heavy downpour can disrupt your vision significantly. A set of quality windshield wiper blades ensures that nothing disturbs your line of sight during driving. An ordinary pair of wiper blades may not fit the bill if you reside in a weather-challenged region, so always go for quality when choosing wiper blades. Considering all of the factors for wiper blades can be difficult, so we have compiled a list of top wiper blades for you to make the decision easy. Michelin is a well-known name in the automotive industry. 3722 RainForce windshield wiper blade is suitable for all weathers and intended for budget buyers who do not want to spend on different wiper blades for different weather conditions. The blades are made of compression-molded rubber and specialized M-Guard formula protects it for long lasting performance. An all metal riveted frame ensures durability. Aero Vented design keeps a balance of pressure between windshield and wiper. EZ-Lok technology for easy DIY installation. Stainless steel frame, so no worries about corrosion. Very noisy after few months. 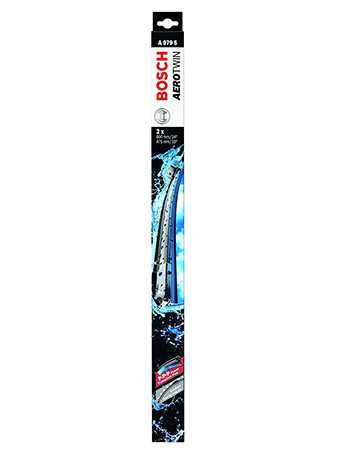 Bosch has flooded the market with a broad range of wiper blades, and they all have minor differences which have confused the customers a lot. Aerotwin replacement wiper blades work well in rainy conditions and efficiently clear the smallest droplets of water for better visibility. Extended lifetime and better performance with quality rubber and special coating. Quiet operation with efficient wiping. Top quality metal tension springs for better pressure distribution. Bosch claims easy installation, but the installation is a bit tricky. Trico is an exclusive brand which has been designing wiper blades for almost 100 years. Despite a lot of research and development, they haven’t come on par with other brands like Bosch and Valeo. 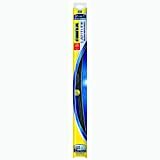 24-240 Force is an excellent quality wiper blades from Trico. Vortec aerofoil technology for optimal windshield contact and can tolerate wind speeds up to 135mph. Patented HighGlide rubber coating for smooth performance. Easy installation through SWIFT connection adapter. Works well in all weather conditions. Price is higher than the competition with same qualities. The Michelin 8024 Stealth Hybrid wipers are a perfect fit for many makes and models. The wiper blades can withstand any weather condition with comfort and perform well. The Smart Flex technology makes the blade flexible enough to adapt according to the windshield curve. The result is better pressure distribution and windshield contact. An efficient aerodynamic-cover keeps blades from clogging with debris and snow. EZ-Lok connectors guarantee easy installation. Michelin claims that independent tests have shown 300,000+ wipe cycles which are higher than any competitor in the industry. We haven’t found any, but some customers have complained about noise and streaks. 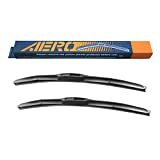 Trico wiper blades are known for their durability, and they beat almost all the competitors in this department. It is designed with top-quality materials to match the factory installed blades on many vehicles. Comes in sizes from 8″ to 29″. These blades are pre-assembled for an authentic match of many vehicles arm type. These wiper blades are manufactured to fit factory replacement standards. Excellent quality natural rubber and high-quality steel frame provide strength and durability. Have installation problems with some makes and models despite claiming to be a factory replacement. The Stealth Ultra series from Michelin never fails to impress. Best quality materials and smart technology make it a great product line, and the 8522 Stealth Ultra is no exception regarding quality and durability. Smart Hinge joints offer better grip between the wiper and the blade. Smart Hinge covers protect blades from clogging,. EZ-Lok technology for easier installation. Independent suspensions at the blade’s ends adjust according to windshield shape for better contact and pressure distribution. Can’t perform well in snowy conditions. Rain-X is a respected name in the automotive industry, and they are known for making quality surface care, glass, wiper blade products. 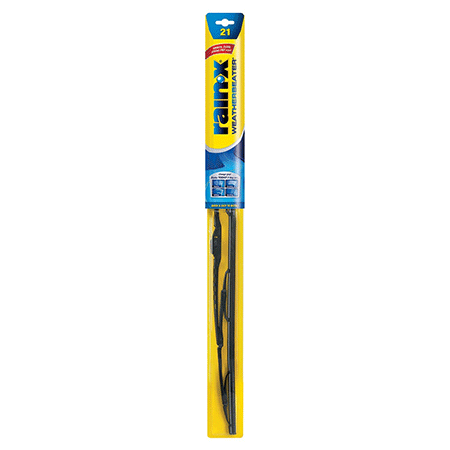 These wiper blades perform well under any weather condition and are durable. This product comes in sizes from 14″ to 28″. Patented water repelling formula from Rain-X protects the blades and windshield efficiently. The advanced blade technology fits well with the curvature of the windscreen. Aerodynamic design offers wind lift protection, and high-quality synthetic rubber performs with almost no noise. The price does not justify the product. 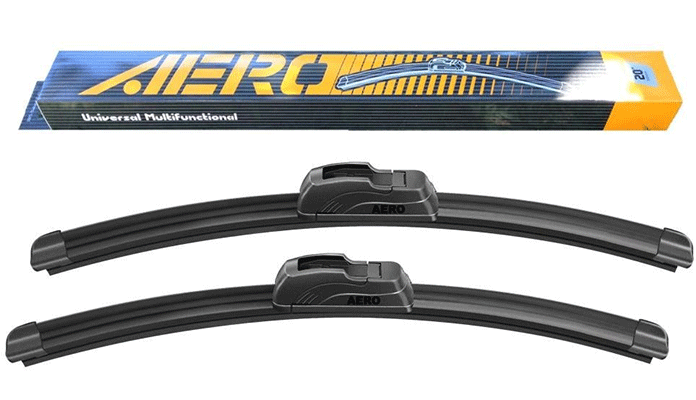 All-season wiper blades with proven durability and high performance. Original Equipment Manufacturer (OEM) quality and fits comfortably on many vehicles. Blended rubber material ensures smooth and noiseless wiping. Flexibly designed for a better contact on the windshield. Frameless design prevents cluttering and clogging. Some customers have reported wear and tear after few months of heavy use. Another wiper blade from Rain-X makes this list because of cost effectiveness and high performance. Weatherbeater series from this company is known for durability and a good performance under any weather condition. The Galvanized steel frame delivers long-lasting performance without any worries about rust or corrosion. The squeegee rubber blade can tolerate any weather condition without cracking. Easy installation through j-hook adapter and multi-adapter for side pins. Value for money as the price is reasonable considering the features. Have compatibility issues with many makes and models. You wouldn’t be wrong if you think Bosch is the leader in Wiper Blades industry as they never cease to impress with their top-quality wiper blades every year. 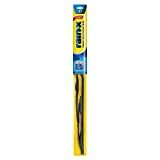 The wiper blade comes in 13″ to 28″ sizes. Exclusive dual rubber blade technology enables them to withstand any weather conditions. Compared the competition, these blades offer up to 40% longer life. Easy installation through weather-shield double locking connectors. Top quality tension springs make sure that there it sits well along the curvature of the windshield. Asymmetrical Flexible Spoiler Design distributes the pressure uniformly across the windshield to hold it firmly at higher speeds. Priciest ‘pack of 1’ wiper blades on the market.